Dexter The Dog and I love our dog-friendly day trips and dog-friendly vacations. 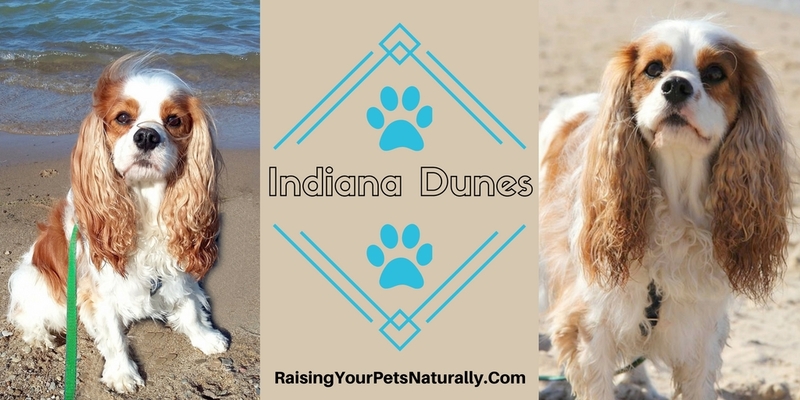 If you are traveling with your dog to the Midwest, I encourage you to check out the Indiana Dunes on Lake Michigan. You won’t be disappointed! Dexter and I have visited the dog-friendly dunes and beach for the past two years now, and we are planning to visit the Indiana Dunes again next year. The Indiana Dunes are located along the southern tip of Lake Michigan. 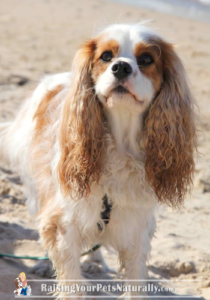 But it’s not just about the dunes – part of the beach is dog-friendly too! And as you probably know, Dexter is a beach dog. 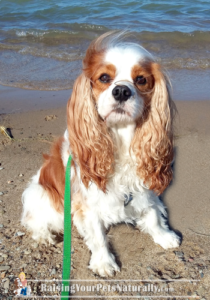 But our dog-friendly day trip wasn’t just about Dexter and me – it was a Cavalier King Charles Spaniel meetup! 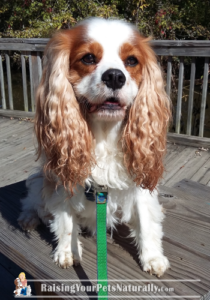 A celebration of our love for our Cavalier King Charles Spaniels. We even had a Cavoween Party in one of the shelter houses! Yes, a gathering of Cavalier friends spent the day socializing, eating tasty food, and even serenading Dexter for his birthday. This year, Dexter and I had traveling companions, Levi and his mom, Chris. The Indiana Dunes has more than 70 miles of hiking and biking trails, forests, marshes, and prairies. Much more than Dexter and I could explore in one outing. Dexter and I ventured along the sandy dunes sniffing and looking for feathers to chase. We strolled boardwalks along the prairies and took photos. The weather was picture perfect and Dexter truly enjoyed himself. But, an adventure is never complete without a trip to the dog-friendly beach! The Cavalier group ventured to the National Lakeshore where we romped and played. The Indiana Dunes has fifteen miles of breathtaking shoreline, perfect for relaxing and spending a day with the family. Dexter had to dip his toes in Lake Michigan. With the water being on the chilly side, that was as much as he wanted to do. It was fun watching him gallop on the dog-friendly beach and run up the beach to escape the waves. 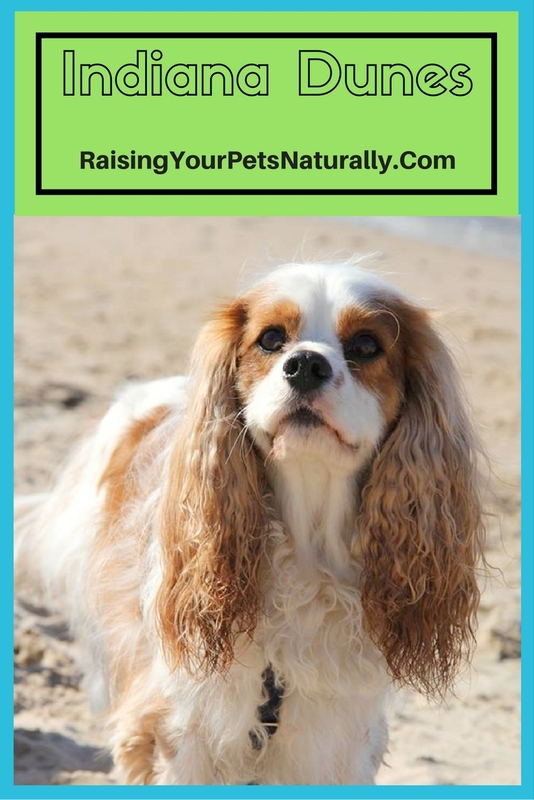 Is your dog a beach-going dog? Tell me in the comments. So very beautiful – my husband and I both grew up in Michigan and each of us spent a lot of time on the sandy white beaches of the grand Lake with our respective families! We recall this area fondly – your pictures bring back such fond memories. You all look like your having a great time – and love that the pups got to join in the frolicking! Oh, fun! If you’re ever in the area, don’t hesitate to shout! This sounds like such a fabulous dog friendly place! I hear MI has a lot of dog friendly places. Thanks, Cathy. We are in Ohio, and I need to venture more into Michigan, because you are right. I know there are great spots around. Definitely dog loves dunes and beach. Especially a dog-friendly vacation like you said. I’ll check the Indiana Dunes on Lake Michigan trip. Thanks for your suggestion. Thanks, Monica. It’s a great spot. I hope your beach dog enjoys the trip. Thanks for this information! 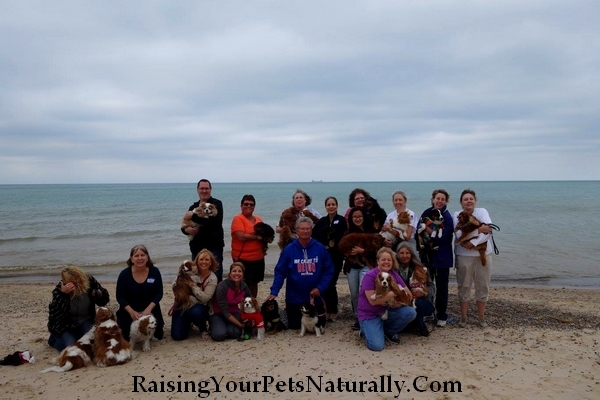 Do you know of any dog friendly lodging in the Indiana Dunes area? A day at the beach is a pretty good bonding idea with your dog. Thank you for the wonderful information. You bet. It’s so relaxing. A great time to reflect and connect. 🙂 Me too. Water, sand, what’s not to love? Always nice to know more dog friendly places and what activities are available. Your dogs are adorable as usual. Thanks, Joan. I’m glad to share. Aww! So nice to see Dexter having so much fun. He is having more fun than most people I know. Go Dexter go! hahaha He really is one of the happiest dogs! It`s not every day you find dog-friendly places especially beaches, so I really appreciate you sharing this. Thanks. I’m happy to share great destinations that welcome all members of the family. Thank you Natalia. I really appreciate that. We have two dogs and I just love taking them places but unfortunately some places aren’t very dog friendly! We have a town near us that’s completely animal friendly so thats been great except now I have two very massive dogs and traveling with them as proved a bit challenging! I like how this state park is dog friendly and I would love visit it one day! Yes, I’m sad when a destination isn’t very dog-friendly or accommodating. Stay tuned, I will be writing and vlogging about traveling with multiple dogs, big dogs too! I have to say Dexter is uber adorable! So cool he is a beach dog! I visited Michigan many times but have never been to the beach. Dexter thanks you. This spot is actually in Indiana along Lake Michigan. Next time you are in Michigan, you should check out the lake. Maybe even hop over to the Dunes. Well worth the trip. Super fun and dog-friendly. Thank you. First, Dexter is simply adorable. I like the idea of dog friendly places. I have the best memories of Lake Michigan. Thank you. Lake Michigan is amazing! One of my favorite lakes so far. That is so fun I love parks and beaches who is pet friendly. Like human dog needs to unwind and exercise too , to stay healthy. I totally agree! Thanks, Farrah. Love your adventures with Dexter! We’re a super dog-friendly family so love all these posts with places where he can go. Ours go with us as often as possible. Thanks, Cris! I’m so tickled to hear you enjoy our travels and you too travel with your pups. It’s such a great adventure. I am personally a dog lover. And this just melts my heart, seeing these beautiful and healthy puppies. They do need some fresh air and sunshine too! Thank you, Alisha. I melt too when I’m around dogs and their humans enjoying their time together. I think it’s so nice that you and your dog can go on trips together. You always find the best dog friendly places. I’m keeping all of this in mind for future reference. Thank you, Kay. I really love sniffing out great dog-friendly destinations and attractions. Even better, Dexter does too! We live in Wisconsin and I have heard about how cool these dunes are! I’ll have to check it out!! It would be a great weekend trip! Wonderful! Yes, a great weekend trip. There are so many things to see and do around the Dunes area. I absolutely love this! Such an awesome place & even better that you can share it with your furry best friend too! Looks like everyone enjoyed it! Thank you, Jennifer. We had a ball. The Indian Dunes and Lake Michigan is an amazing beach and destination. OMG Dexter is simply adorable! I love seeing beaches that are dog friendly. Most people think they will be dirty and gross but a lot of dog owners know that they have to keep these beaches clean in order to keep their furry babies happy. Thanks for sharing. WOW!How much Dexter has fun! Spending a day with Dexter at Indianna dunes sounds so amazing since the place is full of activities to engage in! Thanks, Dalene. It was an amazing day. Love spending quality time with my boy.